Winner of the $50 Giveaway is @katkapow. Please email andshedressed@gmail.com to claim your prize! Hi Everyone! 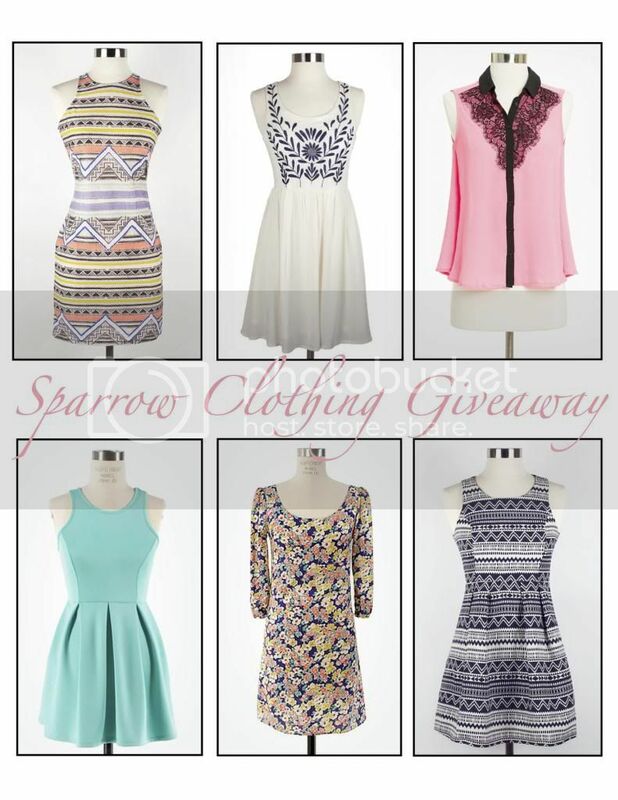 I am beyond excited to announce this amazing $50 gift card giveaway with Sparrow Clothing. This store is home to the fabulous mint dress I wore on the blog yesterday. The best part is, if you win, you can choose anything you want from the store with your gift card! Above is a peak of some of my favourites from their shop so be sure to check them out to see what you would choose if you won! Contest open to Canada and USA and ends June 23, 2014 at midnight PST.